For a leader to be effective they have to keep an eye on critical metrics. Leadership is often evaluated by the leaders ability to lead people in consistently meeting or exceeding these objectives. Here is a list of “common” business leadership measurements. While leaders are evaluated on the measurements listed above, the characteristics that drive effective results are often overlooked. I have listed some of the critical leadership characteristics below. This is a moment for you to evaluate yourself as a leader, and consider your strengths and your potential areas for growth. HUMILITY: How well do you keep your ego in check? Are you coachable? 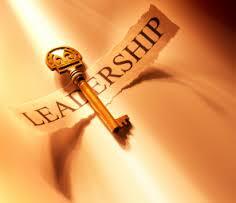 What is my greatest leadership success? What are my weaknesses costing me and our organization? What can I do, right now, to take a step in the direction of improvement? If you have a passion for success and leadership, let me know! I’d love to hear from you directly. If you have interest in further discussing the topic, let me know this as well! I’d love to hear what you think is working and not working for you and those you lead. Future articles will discuss more topics, and I’ll be sharing your tips and ticks as well. I want to thank Terri Wallin for providing the framework for the information shared above, Terris is the founder of Wallin Enterprises and a contributor to online blogs, including the Huffington Post business section. Here’s to your successful leadership!